Item #47064 : Original era manufacture. 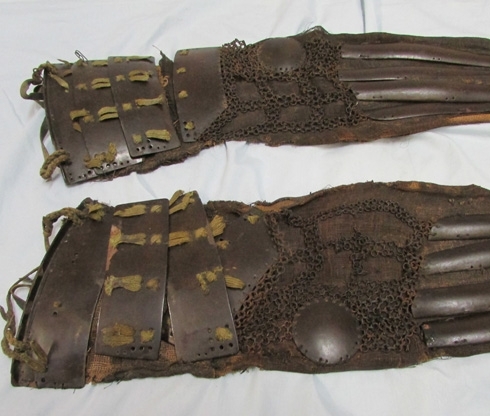 A matched pair of Japanese Edo period Samurai armor arm protection. 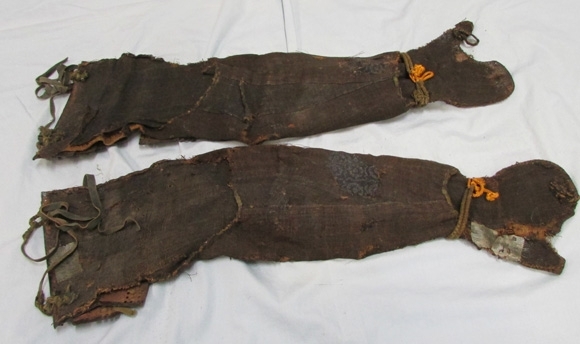 These consist of coarse fabric sleeves, which have attached to their surfaces a mix of chain, and metal plate protection. 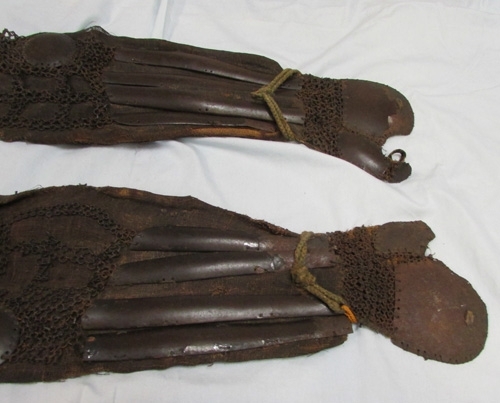 These plates extend down to the top of the hand and thumb as well.They appear complete, however some of the plates will need to be re-stitched to the fabric.